Tonight I am coming on in a little bit of a melancholy mood. The new Haynes Trek Manual came out today and I have to say I am so disappointed at the outcome. 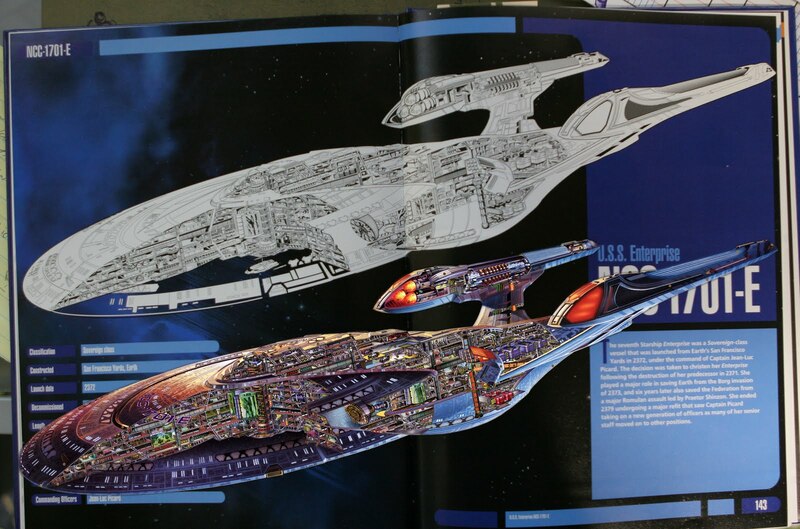 The cutaway drawings for the Enterprise D and even more so the Enterprise E are lifts from our poster work. I would have loved to come on tonight to say that this was flattering, but I can't. Going to the back of the book you can clearly see that we are given no credit for our work! The lift of David Kimball's STMP Enterprise is clearly credited but not the work of my brother and myself. Given the fastidious nature of Mike Okuda to get the facts correct it seems he didn't bother to provide in put on the credit page for us as the technical expert for this book. We are surprised and saddened. I can remember the day that the Rick Sternbach Blueprint set arrived at my door, the sheer joy I felt at seeing my name credited correctly... I felt honored to be remembered for the work I did all those years ago. Matt and I are considering how we feel about this omission. We aren't looking for money, we are looking for respect, respect for the hundreds of hours we have put into the work. Oh this is horrible! I just bought the Haynes book with excitement because I love technical Illustrations. But I absolutely HATE the fact that you are not credited! Need to make this clearly known and have them revise the book in the next edition, I'll sign my name to that if it helps, just need to raise enough signatures and they should listen, that's the right thing to do. I absolutely LOVE your blog. Fabulous work my friend.